Could a Robot Deliver Motivational Speeches? Imagine a day when a form of artificial intelligence could deliver a speech as compelling as one given by a human. 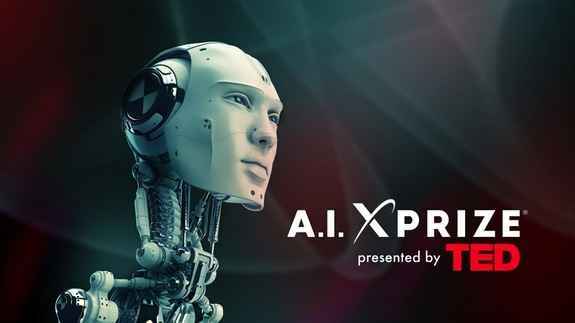 A nonprofit organization called XPRIZE, which designs competitions to encourage the development of innovative technology for the benefit of humanity, announced it will award a prize to anyone who can develop an artificial intelligence, or “AI,” that could give an inspiring talk at the TED (Technology, Education, Design) conference without any human assistance. “Advances in machine learning and artificial intelligence have made extraordinary progress over the past decade, but we’ve barely scratched the surface,” Peter Diamandis, chairman and CEO of XPRIZE, said in a statement. The prize organizers are requesting input from the public about the talk’s topic and length, whether the AI should be a physical robot or a disembodied voice, how the competition should be judged and whether the prize should be awarded to the first team to meet certain criteria or as part of an annual competition. More information is available on the prize’s website. XPRIZE, founded in 1995, organizes high-profile prizes in five areas: learning, exploration, energy and environment, global development, and life sciences. Current prizes include the $30 million Google Lunar X PRIZE for safely landing a private spacecraft on the moon, the $10 million Qualcomm Tricorder XPRIZE and the $2.25 million Nokia Sensing XCHALLENGE for portable health care sensing, and the $2 million Wendy Schmidt Ocean Health XPRIZE to understand ocean acidification.